Vote in the ASUHWO Fall Special Elections online at MyUH portal, myuh.hawaii.edu and click on ASUHWO Elections, go to Fall Special Elections and vote. Voting begins on Wednesday, September 24 @ 5:00am and end Monday, September 29 @ 11:59pm. Interested in making a difference on campus? Serve the interest of student needs? Address student concerns? 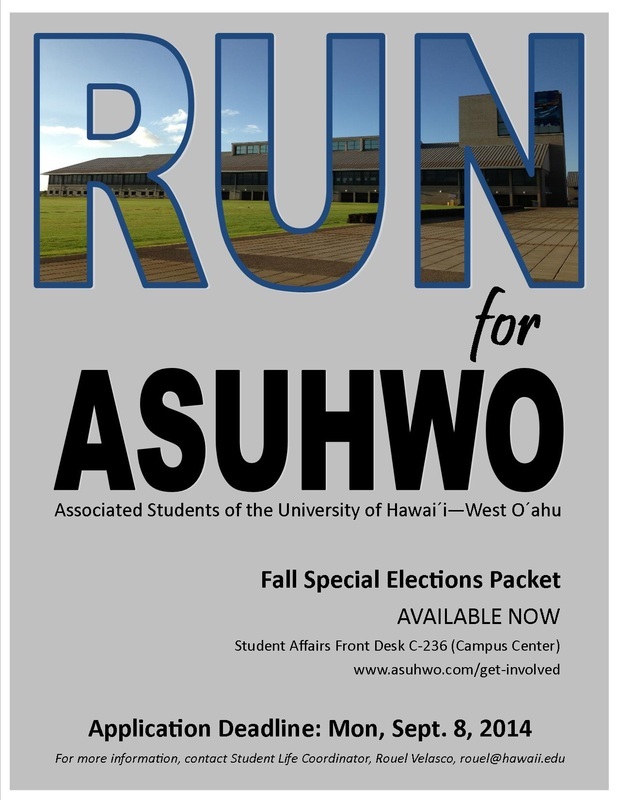 Consider running for the ASUHWO Student Government. See application packet below.